ANDOVER – For many the idea of having a Blue Christmas brings to mind Elvis’ 1964 tune but for others it may be so much more this year as they experience grief during the holiday season. (From Dec. 7 edition). In hopes of bringing comfort to those experiencing this kind of pain Andover United Methodist Church will be offering their third annual Blue Christmas service at 7 p.m. on Sunday, Dec. 23 within Andover. In regards to how the idea of hosting a Blue Christmas service came about Harvel said was established through a request from a member of their church the year that her and her husband Pastor Ric Harvel came home from China. 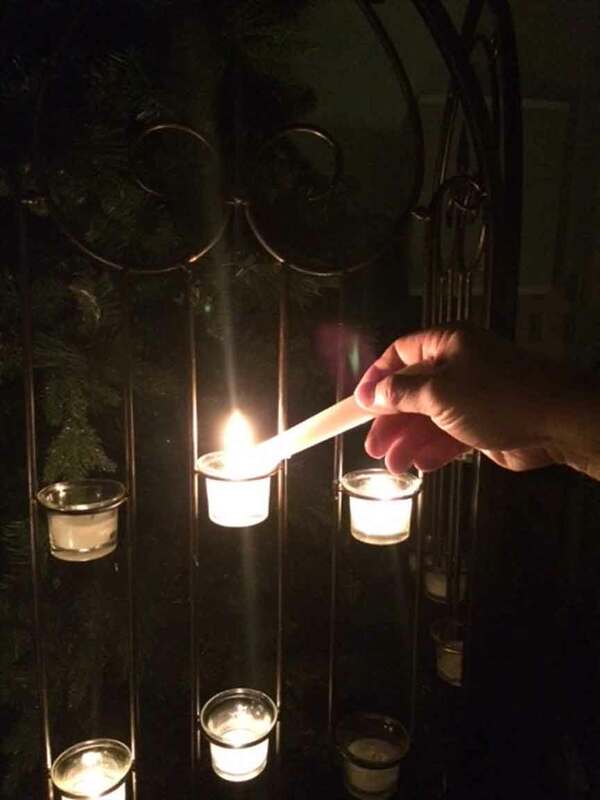 In order to do so Harvel said that the church will be offering special music from Josh Woodard accompanied by Carol Loveland, will offer the chance for those attending to light a candle in memory of someone they love, will include a message from someone who has experienced grief themselves, as well as will provide time to offer suggestions on how people change up their Christmas traditions. In addition to the Blue Christmas service event Harvel said that the church also plans to offer three grief classes for those interested in January as well and can sign up to be part of them following the special Sunday service. As this special service is put together Harvel said that she hopes those that attend can gain the peace and comfort they need through the church’s gift to them. For anyone that is considering the service, Harvel said that the Blue Christmas service is usually small, allows members and guests to bring family or friends, as well as is open to those that are not grieving as well. For further information about Andover UMC’s Blue Christmas service on Sunday, Dec. 23 please call (440) 293-6290. Pictured: A view of several candles that will be lit on Sunday, Dec. 23 during a special Blue Christmas service within Andover United Methodist Church.